In Antiquity chickens appeared in Southeast Asia and then spread along the Mediterranean coasts, and in the 9th century people brought them to northern Europe. Russian scientists studied DNA in the bones of domesticated chickens from medieval soups that people ate almost 1,000 years ago on the territory of modern-day Russia. If you eat chicken every day you don’t think of it as a mysterious bird. The secrets of its origins, however, still fascinate scientists around the globe. People in Southeast Asia domesticated wild chicken about 7,000-10,000 years ago, where the chicken's ancestor, the red junglefowl, still lives. From there, domesticated chicken spread throughout world. Researchers from St. Petersburg and Novosibirsk are interested in the genetic lines of the chicken that Russians in the Northwest keep on their farms, and so they extracted and analyzed the DNA in 12 chicken bones. The oldest bones they examined date back to the 9th century, and the most recent to the 18th century. Svetlana Galkina, project director and scientific researcher at the Department of Genetics and Biotechnology at St. Petersburg State University, said scientists also got some bones from a collection belonging to the Ornithology Department of the RAS Zoological Institute. Other bone samples came from an archeological dig in the Staroya Ladoga (in Russian) fortress, one of the oldest towns in Russia and the first capital of Ancient Rus. Its exact founding date is unknown, but historians believe it dates to before the year 735. The Ladoga Fortress is not far from St. Petersburg. Vladimir Trionov, director of the Laboratory of Comparative Genomics at the Siberian Division of the RAS Institute of Molecular and Cellular Biology, explained that when scientists were extracting the DNA they did not have high expectations because the bones, after thermic processing and having been preserved for several centuries, were very fragile. These bones most likely came from ancient soups that dogs did not finish eating. Galkina said that judging even by the small number of bones that scientists analyzed, the most common chickens were close relatives of the European chickens. "In Antiquity chickens appeared in Southeast Asia and then spread along the Mediterranean coasts, and in the 9th century people brought them to northern Europe. Of the various Asian populations only one spread to Europe, which somehow adapted to the local environment more than the others," said Galkina. The genetic lines of other Asian chicken populations penetrated the genetic pool of European chickens in the 13th century when relations with Asia improved and trade began with China. 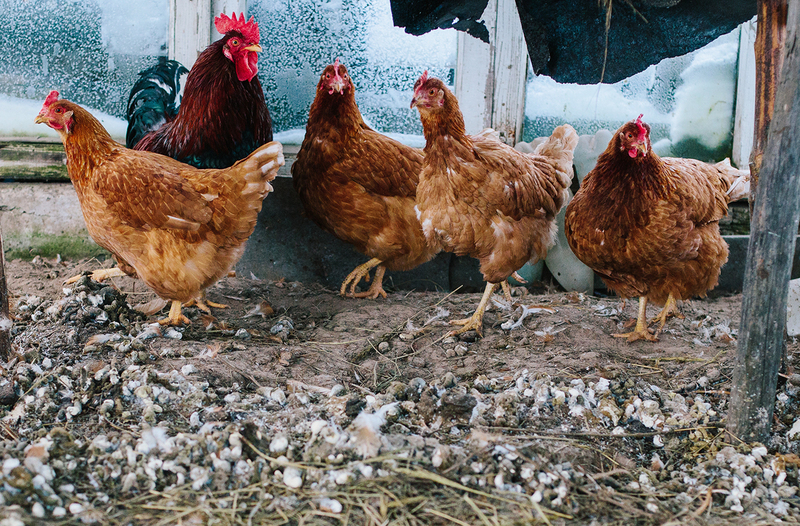 Scientists are conducting more detailed studies to understand how the genetic makeup of the chickens changed throughout the centuries.